The Dunkirk LNG terminal in France is owned and operated by the EDF subsidiary Dunkerque LNG. The terminal has facilities such as a berthing station with the hosting capacity of around 80 LNG tankers a year, unloading system and storage facilities. The LNG is transported to storage tanks by methane tankers equipped with reinforced hulls and double-walled tanks.The berth installed at the terminal is used for the mooring of methane tankers equipped with an LNG unloading system. A regasification unit opens rack vaporisers to reheat the LNG. A supply tunnel provides process water (tepid) directly from the adjacent nuclear power plant for the regasification of LNG. The process water, however, requires additional chlorination to prevent biofouling caused by development of algae and mussels. Prior to discharge to the sea, the residual chlorine is neutralized by metabisulphite. 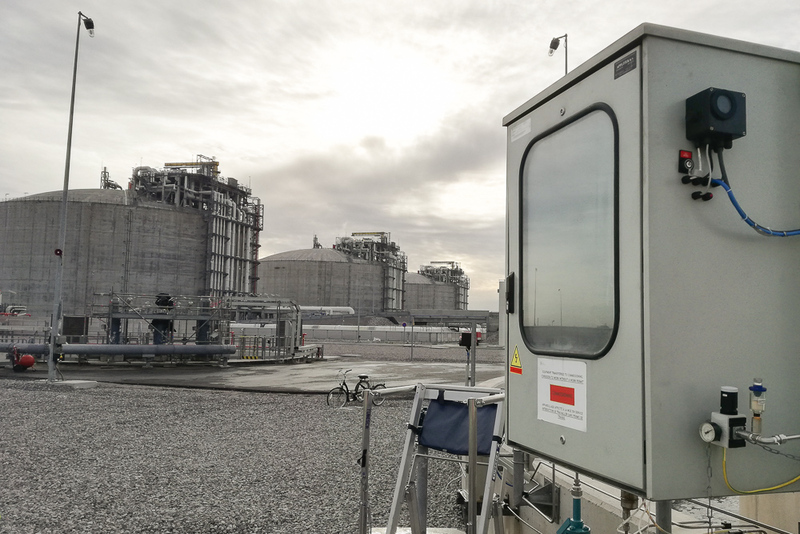 In order to facilitate control over the overall chlorination process, as well as to monitor residual chlorine levels in the outlet to the sea, AppliTek designed, manufactured and commissioned an analyzer package of 2 x EnviroLyzer® EX water analyzers for the terminal. Both analyzers had to meet stringent specifications for installation in hazardous areas. 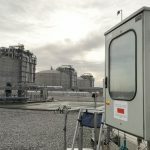 The EnviroLyzer® EX Series come as an integrated protective enclosure with all necessary connections, special analytics and control units, a stand-alone system factory tested to fully meet ATEX directives (in this case zone 2 IIA T1). 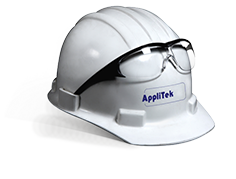 AppliTek assisted in the start-up of the anayzers and training of operators, familiarizing them with the overall system, increasing inside analyzer knowledge and safe operating techniques.